Inspired by the grand plazas and gardens of the world the Plaza Collection. 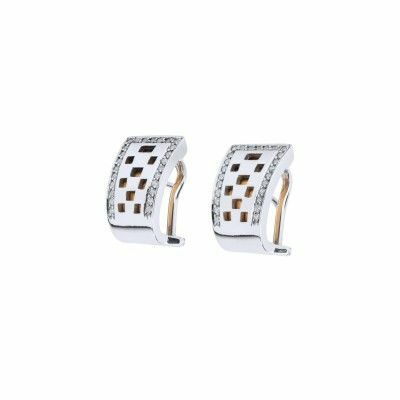 Straight and perpendicular lines, well defined architectural structures, brushed golden surfaces in contrast with polished metal and white zirconias. 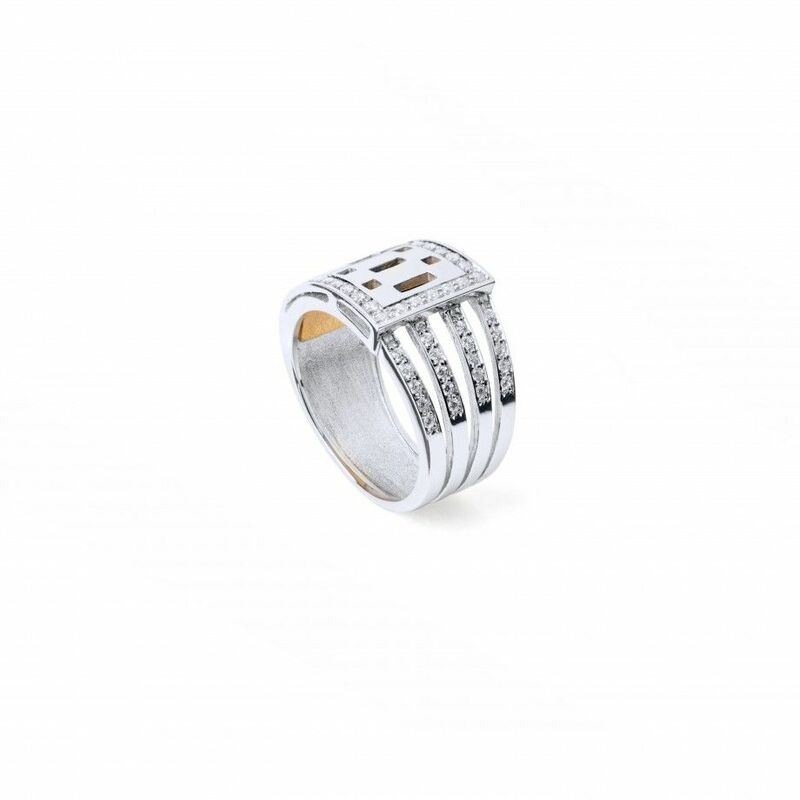 Silver ring with white zirconia - Plaza.